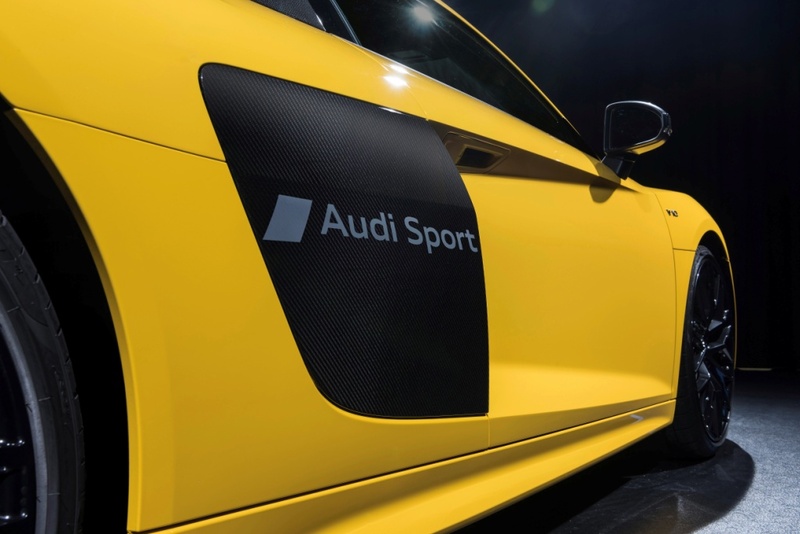 New patented process enabling matte lettering and graphics to be embedded in painted surfaces makes its debut in R8. 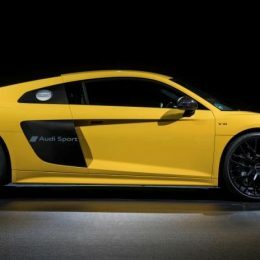 Owners have always been able to make an impression with the Audi R8, but now they can also make their mark on one thanks to a new Audi-developed process for the partial matting of painted surfaces that enables virtually any lettering or graphics to be precisely ‘blasted’ into the painted surface of the car’s distinctive sideblades. A special powder roughens the clear lacquer on the surface to a depth of a few thousandths of a millimetre so that individual markings become visible, making each R8 which undergoes the process unique. As the desired symbols are applied to components after being painted, the process can easily be integrated into normal series production. “The method of partial matting is an excellent example of the flexibility of our production. Being able to implement individualisation in normal series production is one of the aims of our smart factory,” stated Prof. Dr. Hubert Waltl, Member of the Board of Management for Production at AUDI AG. Painting a car consists of – in addition to the cathodic dip coating to protect against corrosion – at least three further coats: filler, base coat and the transparent lacquer as the top protective coat. With the newly developed process, a template of the desired pattern is first placed on the component. A blasting system then sprays a special powder onto the surface, which roughens the clear lacquer to a depth of just a few thousandths of a millimetre – less than a tenth of the thickness of a human hair. This creates the effect of a matt and homogeneous pattern. The Audi paint shop can apply almost any pattern that a customer requests providing it does not affect any third-party rights. At present, components with a size up to a metre by a metre can be processed in this way. 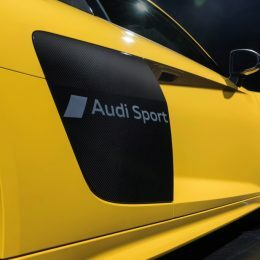 The Audi R8 super sports car in both Coupe and open-top Spyder forms is the first model for which this technology is offered through the Audi exclusive personalisation programme. This option will also become available for other models in the range in the future.